The Premium Embossed Back Gel Anti-Vibration Glove is ideal for working with medium to heavy industrial power tools and cold weather. 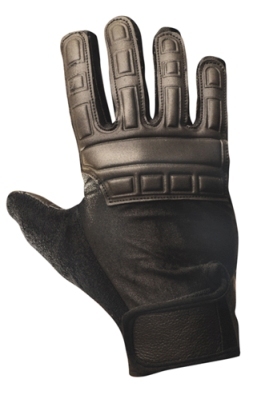 The glove protects the palm, index finger, and lower thumb from vibration and impact. Embossed Rubber on the back of the hands and fingers protects the knuckles. The thumb has a terry cloth covering and the rest of the glove is made up of a four-way stretch spandex and durable leather.